On Friday, June 21, the winners of the 2019 AZ Awards will be revealed at our gala. Joining in the celebration will be Azure’s Guest of Honour, legendary American landscape architect Martha Schwartz. 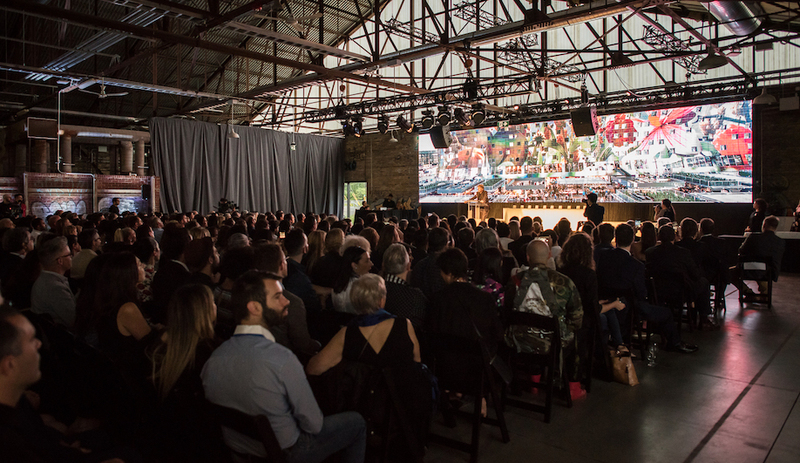 Get your tickets now – super early bird pricing is in effect until April 30. 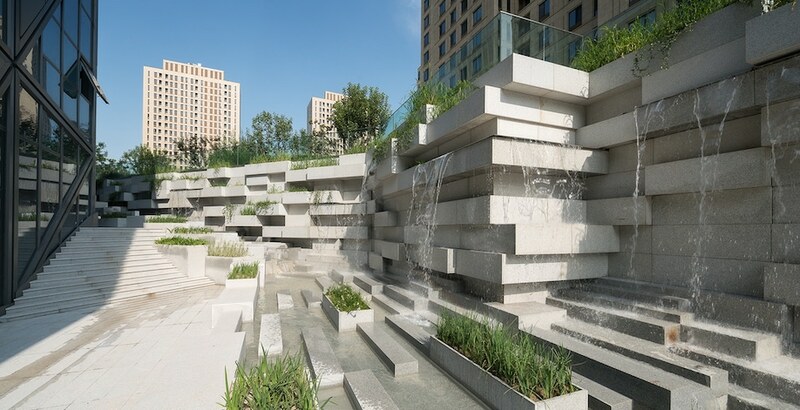 There aren’t many landscape architects who can claim rock-star status. Martha Schwartz is one of the very few. 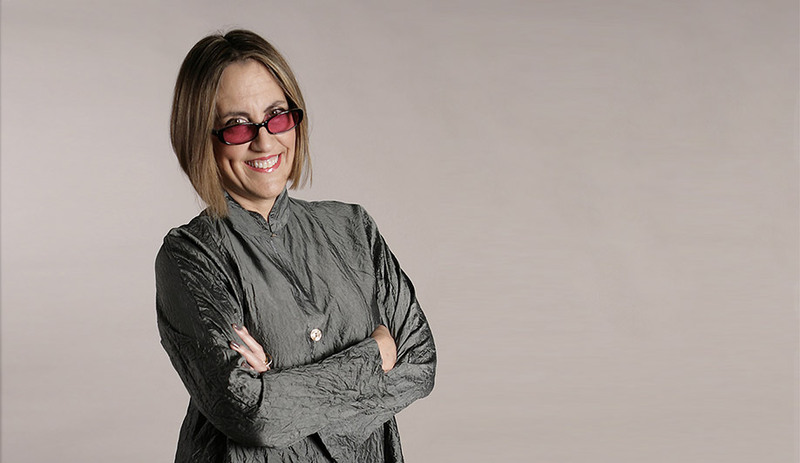 She is renowned for the vibrant public spaces she has created around the world over the past 35 years and for pressing the landscape architecture profession to confront the realities of climate change. 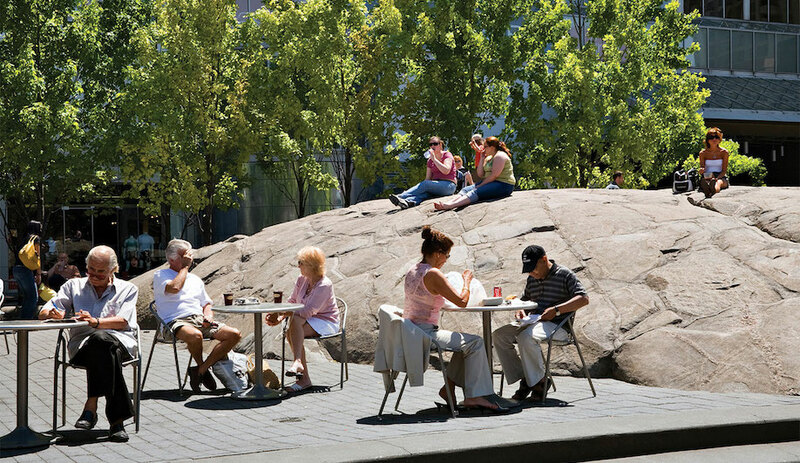 “The Rock” at the Village of Yorkville Park. One of the first projects to bring Schwartz renown is one that’s still very much beloved by Torontonians: the Village of Yorkville Park, completed in 1995. In creating the variegated landscape, which is situated in a tony mid-downtown neighbourhood known for its upscale shops, residences and restaurants, Schwartz looked to Victorian box collections – of insects, fossils, and bones – and divided the park into a series of zones with different plantings. She also made a few major moves with out-of-box ideas. For instance, one of the park’s enduring iconic features is “the rock” – a scalable outcropping that recalls the Canadian Shield. She also inserted a summer “rain/winter icicle” fountain and patio furnishings that are occupied on pretty much any warm sunny day of the year. 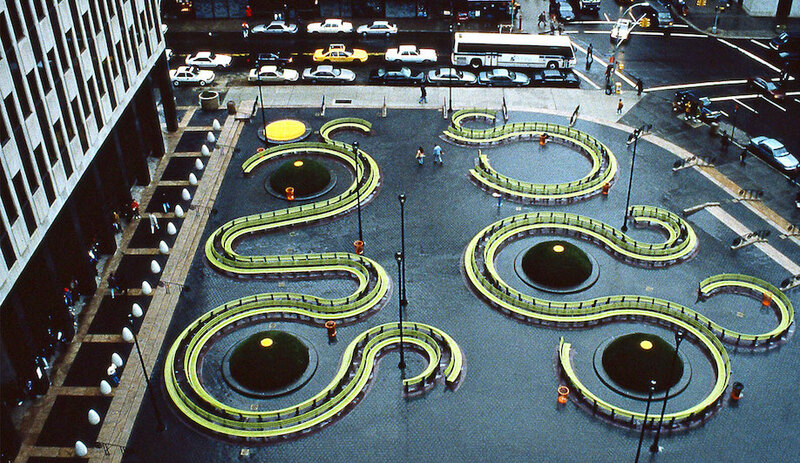 From there, Schwartz went on to design the Jacob Javits Plaza in New York (1997), which featured a benching system that snakes around six-foot-tall mounds of grass, which pump out mist on hot days. 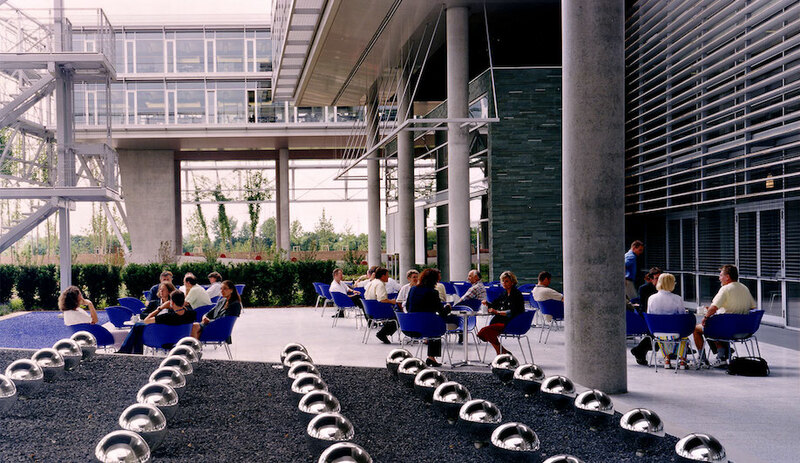 In 2002, she completed the landscaping for the Swiss Re Headquarters in Munich, characterized by its striped quadrants in red, blue, yellow and green that call out is many possibilities: dining, meeting, recreation. One of her most ambitious projects was the Place de la République in Paris, which was completed in 2013. Over previous years, the square had become a mere thoroughfare for commuters – whether racing to work on foot, hailing a cab near the square or getting on a bus parked on site. Schwartz’s genius contribution was one of place-making – she reorganized the flow of traffic in order to re-establish the square as a civic space where Parisians could linger. With traffic redirected, the Place de la République could host seasonal markets, concerts and festivals. 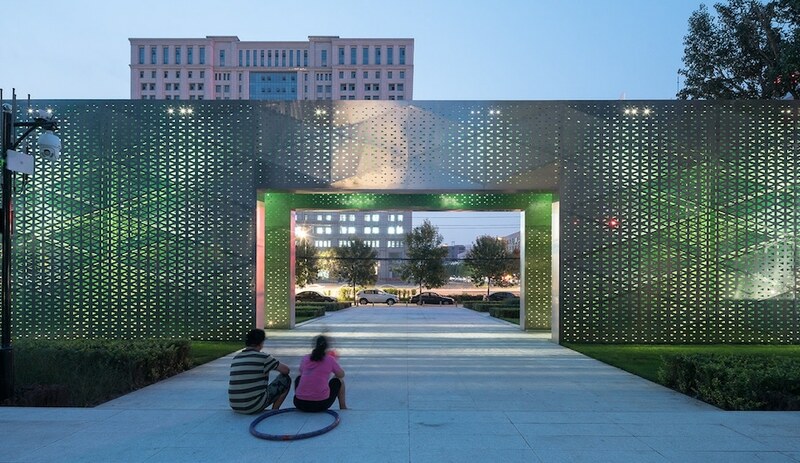 Just a few years ago, Schwartz also designed the Beiqijia Technology Business District in Beijing. The 60,000-square-metre landscape is comprised of three zones – each with its own micro-climate. These vibrant areas encourage people to sit, stroll or pass through the majestic gateway structures and central water feature of the park. In recent years, Schwartz has also become an outspoken climate change advocate. She has been rallying her profession – whose members are considered stewards of nature – towards a collective call to action for a major investment in methane- and carbon-fighting geo-technologies. In tandem with her work as a tenured professor in practice of landscape of architecture at the Harvard University Graduate School of Design, where she is teaching climate change mitigation, she is also a founding member of the university’s Working Group of Sustainable Cities at and an active member of the Landscape Architecture Foundation Climate Change Task Force. Schwartz is our 2019 AZ Awards Guest of Honour. And we are delighted to have her join us at the AZ Awards gala on June 21 at the Evergreen Brick Works. The following evening, she will deliver an AZURE Talk – stay tuned for details. The AZ Awards are generously presented by Ceragres, Keilhauer and Landscape Forms; and sponsored by Cosentino, Design Within Reach, Farrow & Ball, George Brown College, Lualdi, and TAS. The gala sponsors are Alpi and Scavolini.